While more than half of car accident incidents over the New Year are alcohol-related, it still is only the third most dangerous holiday for driving in the United States. The holiday season is known for being a time that families gather and people refocus themselves on their goals through resolutions about their health habits or other aspects of life. However, it is not just a time of celebration and hope but a time of pain and loss. We know that about the New Year holiday, that the roads get dangerous as night falls. But Christmas is dangerous too. While these holidays are challenging, there are other holidays, days, and months that carry higher driving risk too. Before we look at those days that are problematic throughout the country, it is worth first looking at our area. Unfortunately, we assume heightened risk than others throughout the country when we hit the Houston roads. First, it is important to consider the issue of driving safety locally. The specific issues with Houston roadways suggest that drivers should be more vigilant than is typical throughout the year – simply accounting for the perils that are, sadly, unique to our city. The Houston Chronicle studied sixteen years of data on accident deaths. The newspaper found that the Houston roads were deadlier than those of any other metro area. The federal highway data studied by the Chronicle came from 2001 through 2016. 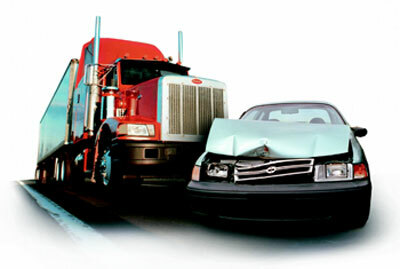 The reporters found that the Houston metro logs 2850 major car crash injuries annually, along with 640 deaths. Houston is the deadliest for car drivers and passengers, as well as pedestrians, found the study. In this environment, it is critically important to drive defensively and otherwise exercise caution. While more car accidents occur at certain times (such as New Year’s) because of people’s intoxication, the chance of a car accident also rises when people are finishing up a typical week. Assumedly overeager for the weekend, the greatest time for aggressive driving — in which there are greater instances of rapid acceleration and hard braking — is 9 a.m. to 4 p.m. on Fridays, per an analysis by Nationwide. Some holidays are particularly dangerous, but the most unsafe driving month is actually August, according to the same study. The insurer found that there were more people killed in August crashes from 2012 through 2016 than in any other month during that period. August 2016 was the worst month of all for total crashes, with 60,976 of them reported. To start looking at the holidays, the one that is associated with the sixth-highest traffic fatalities is Memorial Day – which makes sense since it is thought of by many as the end of a three-day party that kicks off the summer. Memorial Day itself is the day that involves the most drinking as well as travel home, so it is unsurprising that a study of holiday roadway deaths (Arnold and Cerrelli) found there were 32% more car accident deaths on Monday than the prior three days. The fifth-highest number of roadway deaths occur on Labor Day. This holiday has much in common with Memorial Day – serving as a cap to the end of summer with three-day trips. The roads can get congested, and people can end up becoming frustrated and making bad decisions. Many people are off work Christmas Day, and many do not work all of Christmas Eve. People rush around to make final gift purchases and head to the homes of family. In this climate, traffic accidents increase from the afternoon of December 24th to the evening of December 25th. Plus, alcohol is often involved. According to 2001-2005 data from the NHTSA, 36% of car accidents on a typical day involved drunk driving. However, on Christmas Eve and Christmas Day, the percentage rose to 45 percent. This alcohol use is a primary reason Christmas is the fourth-most-dangerous holiday. Note that when Christmas falls on a weekend, it is a safer time to drive than when it falls during the week. Many adults go out and celebrate on this holiday. Some drink excessively, leading to more danger from drunk driving – particularly late at night (i.e., from midnight forward). The leadup to the turn of the year on New Year’s Eve involves binge drinking for many; and that means a higher incidence of drunk driving. According to the 2001-2005 NHTSA cited above, more than half of car accidents (54%) over New Year’s Eve and Day involved alcohol impairment. Again, alcohol is a major influence in why this holiday is the third-deadliest for traffic crashes. Thanksgiving is a holiday that many families consider important, so they head out on the road to grandparents and elsewhere. People often do not have the Wednesday prior to Thanksgiving off. That lack of preparation time for the big meal results in unsafe roads. Drivers heading to and from Thanksgiving get-togethers in 2019 may be suffering from drowsiness. They may be on their phones or otherwise distracted. They may be hurrying to their destinations. There were more than 500 Thanksgiving traffic deaths from 2001 to 2006. The good news is that number has dropped, nationwide, in the past few years; nonetheless, this holiday is still ranked second among holidays for roadway fatalities. Actually the deadliest holiday of 2019, based on past years, will likely be the 4th of July, aka Independence Day. Over that four-day holiday in 2012, per National Safety Council data, there were about 540 car accident deaths. Over that same span, there were 58,000 major injuries arising from these incidents. You can get in a car crash any time, whether it is one of the peak danger periods to be on the road or not. Have you recently been involved in a car accident? At Farrah Martinez Law Firm, we proactively and effectively represent clients in their personal injury cases. Learn about founding attorney Farrah Martinez.